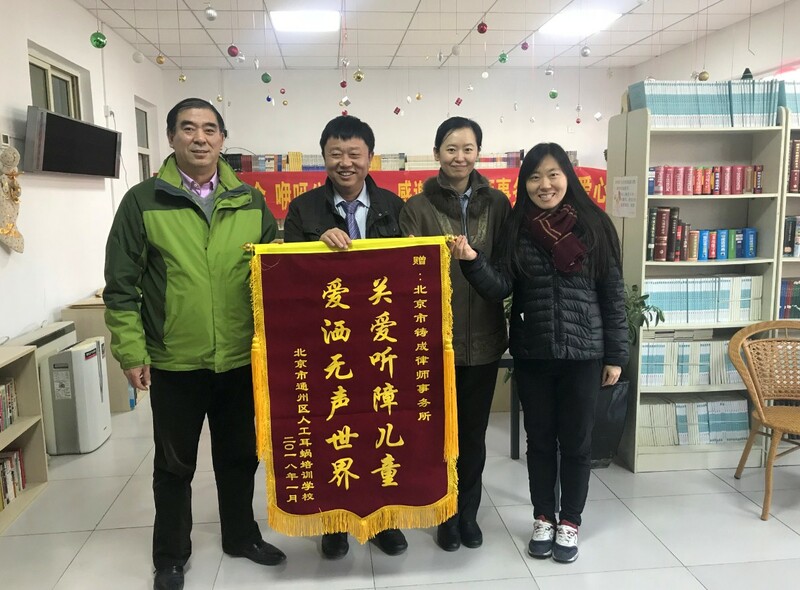 Recently, representatives of Chang Tsi & Partners once again visited the Beijing Hearing Association and Beijing Tongzhou District Hearing Language Rehabilitation Guidance Center. 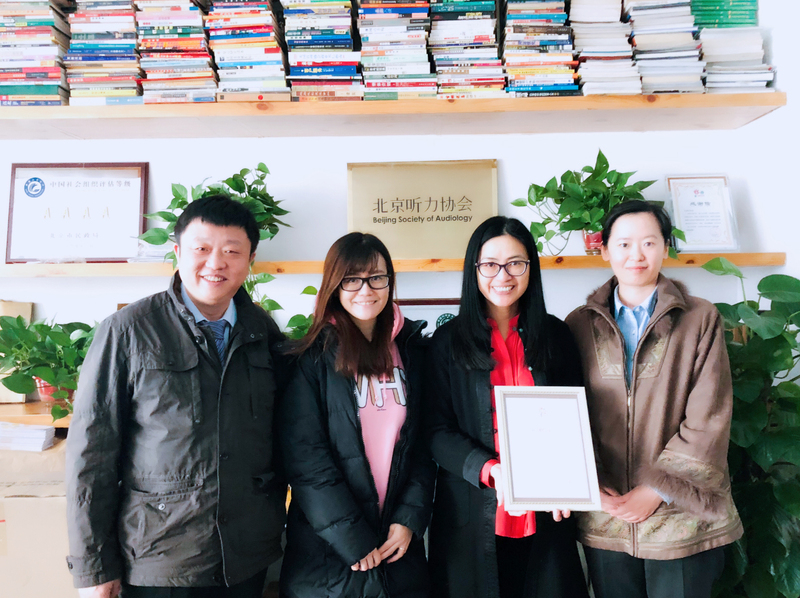 Chang Tsi & Partners donated materials including tables and cabinets (specify what materials) to the Beijing Hearing Association's "YiYa Charity" Project. Chang Tsi & Partners' members visited the kindergarten and children's classes at the Hearing Language Rehabilitation Guidance Center. We had a great time with the children. From their communication with the staff at the Center, we learned about the current state of hearing-impaired children in China. Chang Tsi & Partners has provided care and support for children with hearing impairment for the past two consecutive years. The Beijing Hearing Association is a non-profit social organization approved by the Beijing Municipal Civil Affairs Bureau. It is jointly initiated by senior industry practitioners and public welfare personnel. For many years, the Association has been devoted to rehabilitation studies and the provision of services for the hearing-impaired. It not only provides technical support for the hearing-impaired but also addresses the psychological needs of deaf children. The goal of the Association is to deepen the social awareness of the disabled, and also to enable deaf people to regain their confidence, so they can become a contributing member of society and achieve self-worth. The Hearing Language Rehabilitation Guidance Center is currently the only state-level private rehabilitation institute in China. The deaf can return to society through device-assisted listening, language recovery exercises, and psychological rehabilitation training. 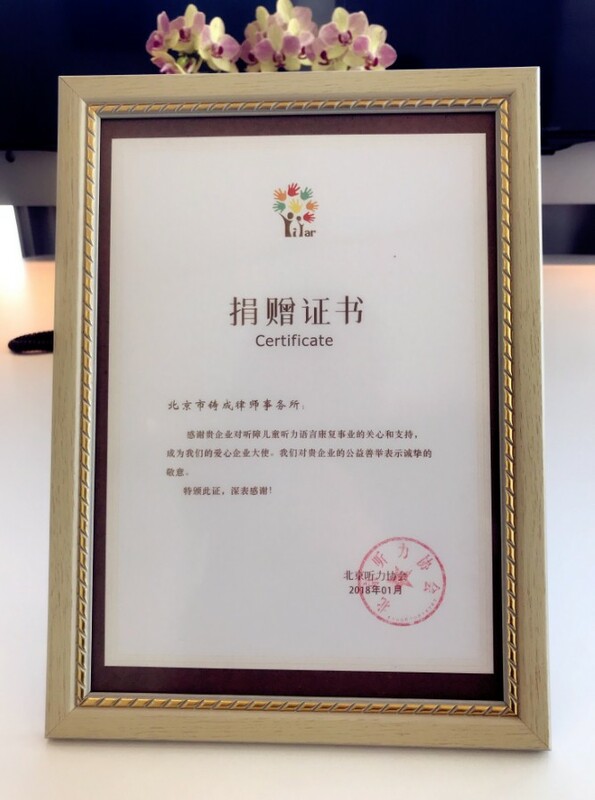 “Caring for special children and public welfare.” For the past 15 years, Chang Tsi & Partners continued to bear in mind the concept of “Love is beyond borders and strives to benefit the public”. 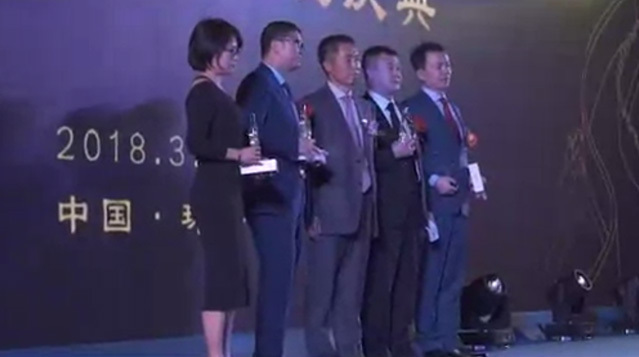 It has actively participated in public welfare activities called by relevant state ministries and commissions, established long-term relations with the Beijing Suburbs of villages and towns, and provided free legal consulting services. In the future, Chang Tsi & Partners will adhere to its original intention and firmly practice its own social responsibility as a modern legal person.